On Friday 9th December 2016, La La Choirs held their second annual ‘CLIC for Christmas’ concert at Exeter Cathedral. Performing to a sold-out audience, they started the festive season off with a bang with a selection of Christmas favourites such as the Perry Como classic, ‘It’s Beginning to Look a Lot Like Christmas’ and the Louis Armstrong hit ‘Wonderful World’. The concert was their second annual fundraiser for CLIC Sargent, the UK’s leading cancer charity for children and young people, and their families. Through ticket sales and generous donations on the night, sponsorship from local businesses, plus crucial support and backing from Santander, they managed to raise a staggering £12,000. Sam Abrahams from La La Choirs said “To be able to hand over a cheque for £12,000 to CLIC Sargent is a phenomenal achievement and we are so thrilled with the success of this year’s event. We had a whole team of volunteers on the night which made the evening run like clockwork and I cannot thank them enough for giving up their time to help out. Most of all, though, I am touched by the generosity of the local businesses, La La friends and family and members of the public who came along and parted with their hard earned cash for such a fantastic cause. Special thanks also go to the staff of the Exmouth branch of Santander who helped run one of the refreshment stands and managed to secure generous match funding. We really could not have done this without them. Fortunately, they have already signed up for next year as we are planning to do it all over again on 8th December 2017!” Jordan Anderton, CLIC Sargent fundraising manager for Devon & Cornwall said “CLIC Sargent is extremely grateful for the continuous support of the La La Choirs. They work tirelessly to support not only CLIC Sargent, but many charities across Devon & Cornwall. 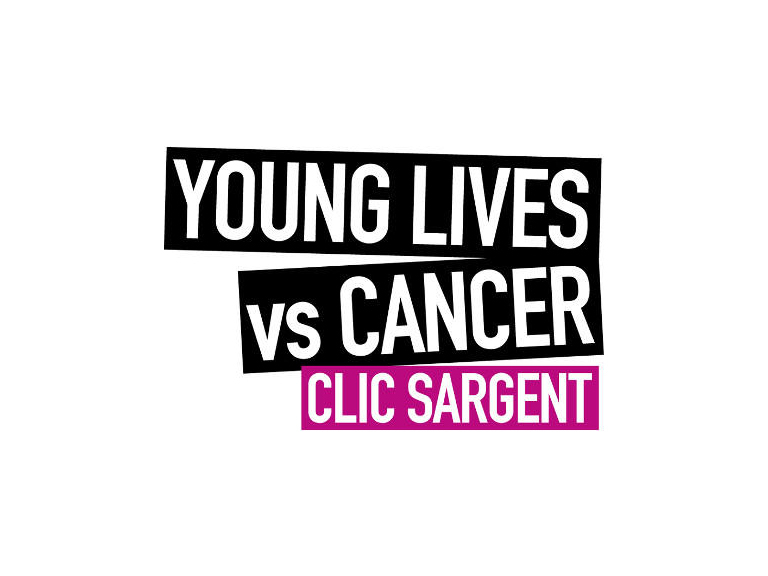 The choir have now raised over £21,000 for CLIC Sargent in only two years which is simply astonishing and I can not thank everyone involved enough for their support, hard work and generosity. The £12,000 that they have raised this year could fund a room for a whole year in one of CLIC Sargent’s Homes from Home, providing free self-catering accommodation near to specialist children’s cancer treatment centres, which are often many miles from a family’s own home. Staying in a Home from Home ensures a family can not only be close to their child during treatment, but also alleviates any financial concerns on where to stay. If they are well enough, the child or young person can stay there too. These homes saves families on average £2140 on accommodation costs and the average stay in a CLIC Sargent Home from Home is 23 days. Therefore thanks to the generosity of the La La Choirs, this donation could fund for 15 families to stay at a home from home. ” Joining La La on the night were two guest choirs from the Park Community School in Barnstaple and Devonport High School for Girls in Plymouth who were joint winners of the Devon Schools Choir competition run by La La Choirs each year. Both choirs were excited to have the opportunity to perform in such an awe inspiring venue and to help raise much needed funds for CLIC Sargent. Robert Grace, Head of Music at Devonport High School for Girls, said: “This competition is a fantastic opportunity for students to be recognised for the work they do outside the classroom. My choir were absolutely thrilled to have the opportunity to perform in Exeter Cathedral - after all, that’s what all of their rehearsals are building towards. And CLIC Sargent are such a wonderful charity to support.” The Park Community School Head of Music, Matthew Street, said “The students worked hard to get through to the final of the competition and we were all delighted to be performing at Exeter Cathedral for the second year running. It was an honour to be performing in aid of CLIC Sargent and thanks once again to Sam Abrahams for the opportunity.” In addition, La La Choirs were thrilled to welcome the CLIC Sargent Singers as their special guest act for the evening. The group had been formed over the summer from participants in CLIC Sargent’s music programme. One of the group was George Stephenson, 23, from Plymouth who performed a song of his own composition on the night. He was supported by CLIC Sargent when he was diagnosed with acute lymphoblastic leukaemia after finding a lump on his neck during a cricket tour in Australia. He said: “CLIC Sargent gave me lots of information on events and services, like financial assistance, therapy, workshops of all different kinds. They would always check how I was doing, and always genuinely cared. “The music programme had such a great feeling. You get to meet some brilliant people, who understand what you are going through and that isn’t the focus of things, you just get to make music and record and it was great.” The planning for CLIC for Christmas 2017 is already under way and the Devon Schools choir competition will be launching in the next few days. Information will be sent to all secondary schools in Devon, but in the meantime, if you would like more details, please contact La La Choirs through the website at www.lalachoirs.co.uk. NOTES FOR EDITORS About CLIC Sargent CLIC Sargent is the UK’s leading cancer charity for children and young people, and their families. Today, 10 children and young people, and their families, will have life as they know it turned upside down by the news they have cancer. Last year CLIC Sargent’s care teams gave vital support to around 139 young cancer patients, and their families from Devon. Across the whole of the UK, CLIC Sargent supported around 7,100 children, young people and their families. We help them deal with the devastating emotional, practical and financial impact of cancer. And we help empower them to feel like people rather than patients, supporting families to hand on to a sense of normality when their world has been ripped apart. We are currently only able to help two out of three children and young people with cancer across the UK with our vital support. Our aim is to be there for every child and young person when they need us most. www.clicsargent.org.uk About La La Choirs La La is a family of community choirs that are open to anyone and everyone (18+). Our music ranges from pop to rock, soul to choral. La La Choirs began in Lympstone in September 2008 and is run by Sam Abrahams. The first sessions consisted of Sam and just a few friends. There are now four choirs with over 250 members on the books, who meet every week. The ethos of the choir is simple: if you like singing and enjoy having a laugh then this choir is for you. Whether it’s weekly, monthly or just when you can, you are always welcome. La La are very popular locally and put on concerts for various charities every month of the year which have raised around £100,000 since they began. Sam and her members are very committed to sharing the joy that singing brings to them with others and use that to promote and raise funds for charities large and small where they can. Photo Attached : Sam Abrahams from La La Choirs presenting the cheque for £12,000 to Jordan Anderton from CLIC Sargent with the staff of the Exmouth branch of Santander.